There are walls that are severe which seem built to bite, and then there are cheerful walls which invite you to clamber over them. Calon’s wall is one of the latter. Harmonious and pleasantly rounded, it merges with the relief of the land, forming the shape of an imprecise, simple wave. Its stones fascinate, as you raise your head and stand on tiptoe just to have a peep at what might be happening on the other side. Towards the south, the wall separates the estate from the village of Saint-Estèphe. To the north, it gives way to the Calon marsh. 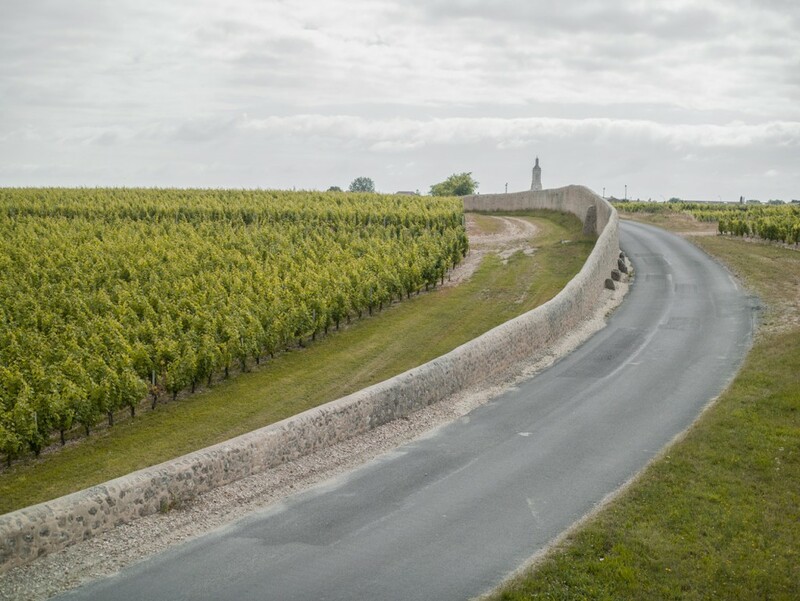 It stretches out over an amazing distance –over 1,200 metres and is unparalleled in the Médoc. Calon’s wall was probably built in the 18th century during the time of the Marquis de Ségur. It is an unchanging feature in the geography of the estate, whose layout resembles a vast rural area with its farm buildings, pathways, parcels of vines, and its gardens which give added beauty to the Chartreuse.